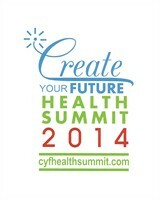 Create Your Future Health Summit is Northern California’s premier health, wellness and leadership event. Hosted by the Peninsula Special Interest Lions Club (PSILC), this third annual conference raises awareness about the benefits of good nutrition and proper medical care in leading a long, fulfilling and active life. The event highlights include an esteemed panel of health experts featuring Dr. Mehmet Oz and Martha Stewart. The two-day event highlighted invaluable instruction, demonstrations, tools, and resources to make positive changes in your daily life. Medical Security - Are You at Risk?